40% OFF! Wireless Bluetooth Audio Music Receiver Rs. 2,100 for just Rs 1,250! This Bluetooth audio music receiver is a Bluetooth wireless music receiver that connects to any stereo audio input. Now you can listen to music from your phone, laptop or iPod without the hassle of cables. With using this you can connect with your gadgets wirelessly using this product. 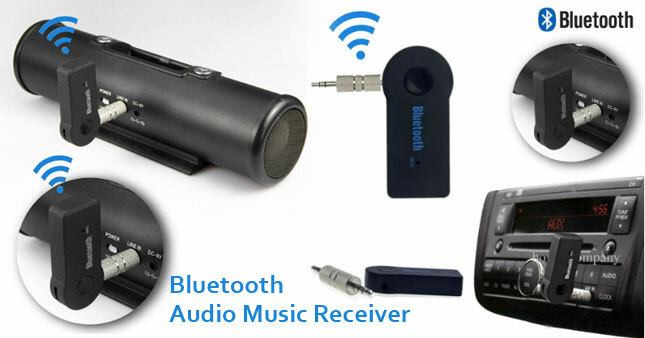 The Bluetooth audio music receiver can connect to home A/V systems, Home stereos, headphones, automobile or motorcycle speakers. Vouchers purchased are valid till 27th of October 2017. Voucher is valid only for one Wireless Bluetooth Audio Music Receiver.